It's been posted everywhere and if you follow us on Twitter (@ultra8201) you knew about this a couple of days ago but this band is a favorite over here so we have to give them a proper post. 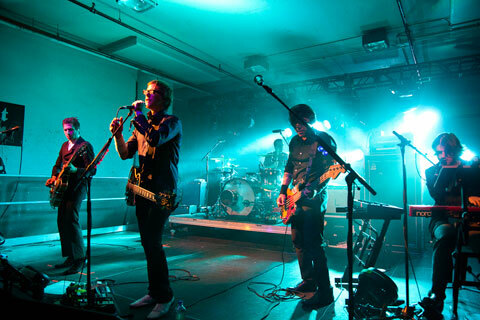 Interpol will head out on the road this fall and will be touring North America extensively. I am listening to the upcoming album (Self Titled, due Sept 7th) as I type and am digging it. Although I still can't figure out why they chose "Barricade" as the lead track? Not a fan. You will get your opportunity to see these new tracks and new bassist Dave Pajo live this fall and make your own decision. The band will be in Austin at Stubbs on October 28th.